We are offering an impeccable gamut of Socket Weld Flanges, which conforms to the industry laid quality benchmarks to our clients. 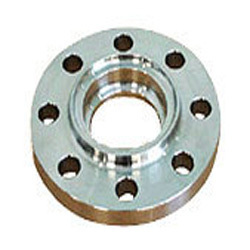 The offered flanges radiate several features such resistance against corrosion and longer service life, as these are fabricated using high-grade stainless and carbon steel. We have made the offered flanges available in variegated shapes, sizes and grades to meet the divergent demands of the clients.